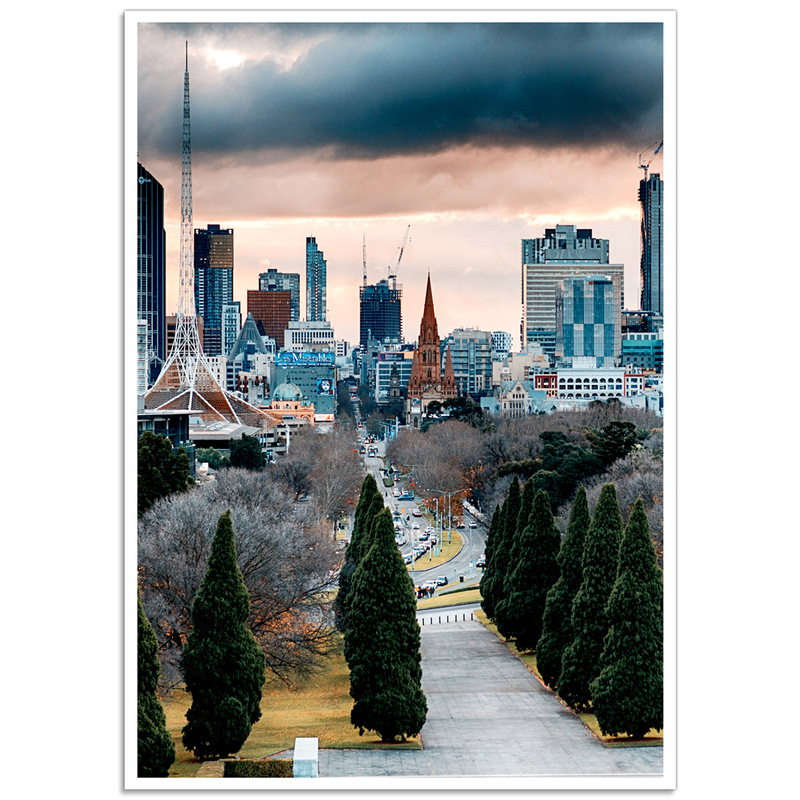 The Melbourne from Shrine of Remembrance was built in 1934, and commemorates Australians who have served in war and peacekeeping operations. Eighty-three designs were submitted in a competition and the winning proposal was created by two Melbourne architects, Philip Hudson and James Wardrop, both were returned soldiers. The external outline was inspired by one of the seven wonders of the ancient world; Tomb of Mausolus at Halicarnassus, built between 353 and 350 BC. It’s thought that the Mausoleum was destroyed by an earthquake between the 11th and the 15th century and the stones were reused in local buildings, some which we can still see today. Despite the fact that Australia was faced with the “Great Depression” an appeal was established in 1928 to raise the enormous amount of money required to build the Shrine. The people donated or pledged the full amount within six months from the opening of the appeal. so important was the need to honour the lives lost. The Shrine is a wonderful place to visit and reflect back to a time we don’t want to experience again. 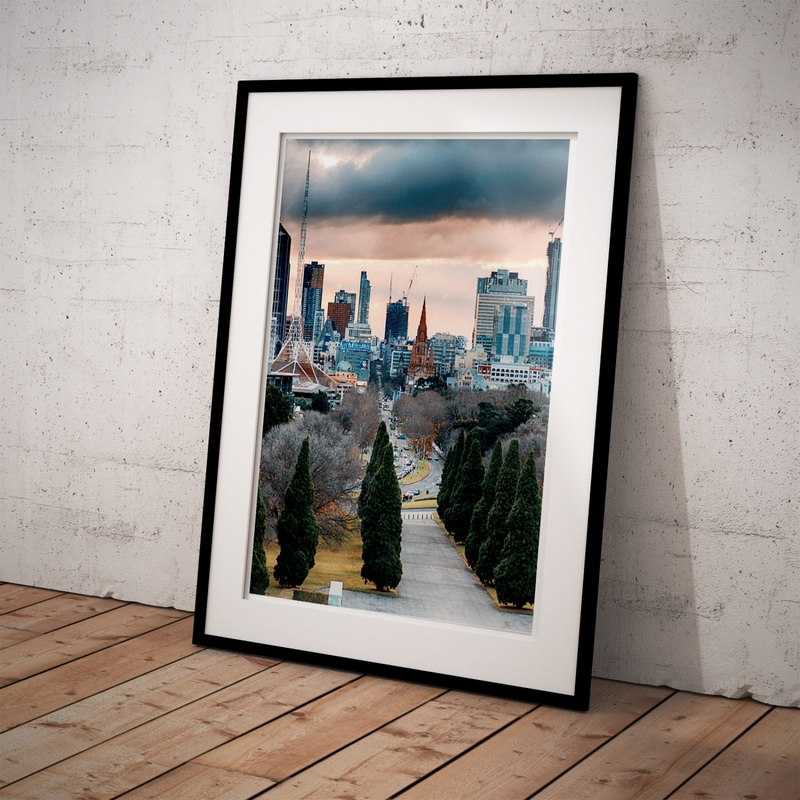 It sits quietly on a hill near Melbourne's Botanical Gardens and can be seen from the City when looking south on Swanston Street. 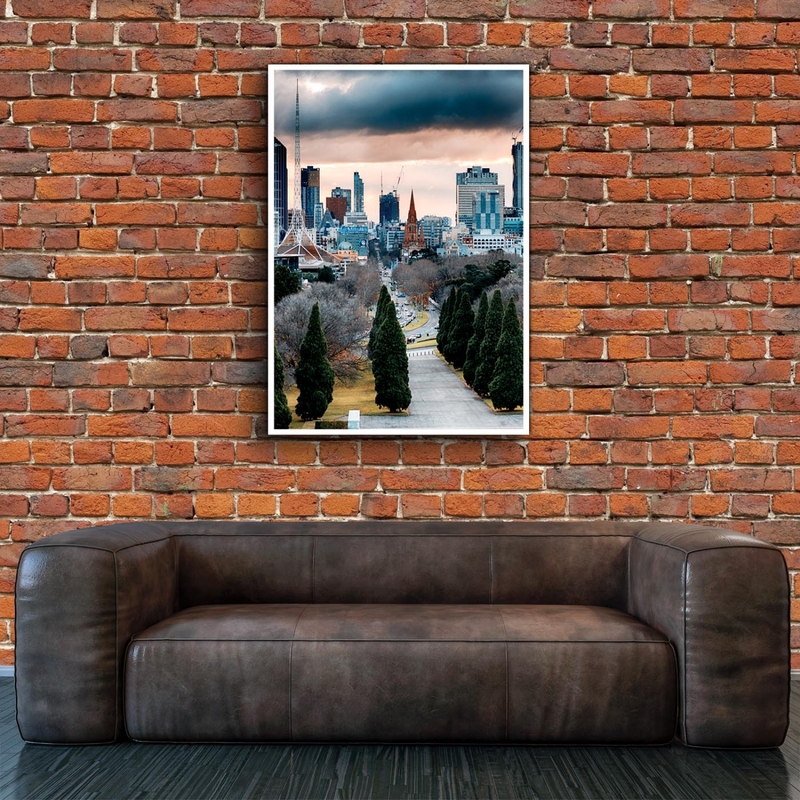 View breathtaking vistas of Melbourne from the Balcony. Explore the Galleries of Remembrance featuring over 800 artworks, historical artefacts and personal effects. 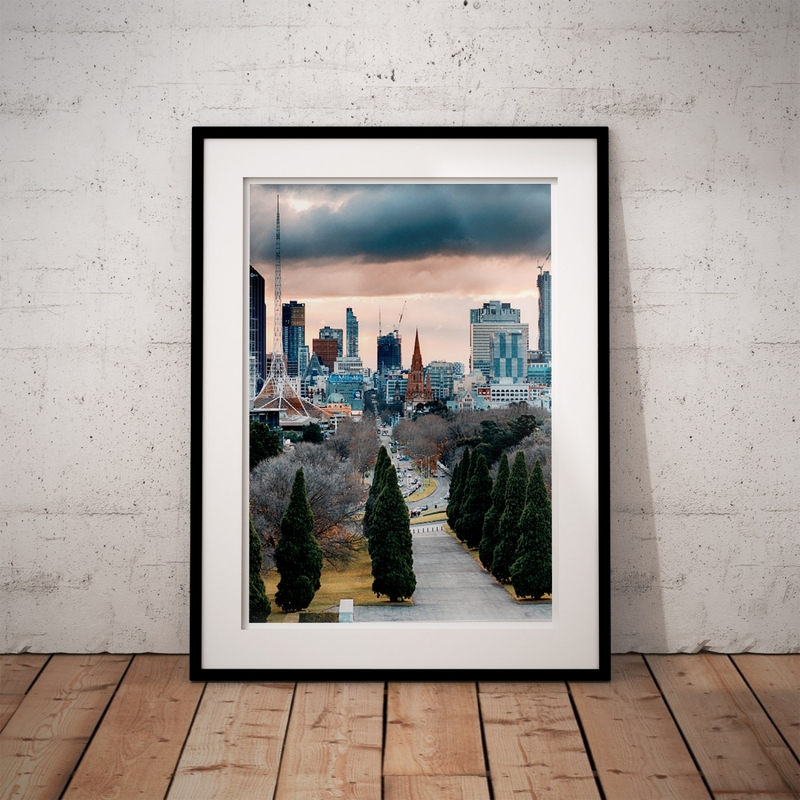 The 'Melbourne-Shrine View' Poster is a reproduction of an original photograph. 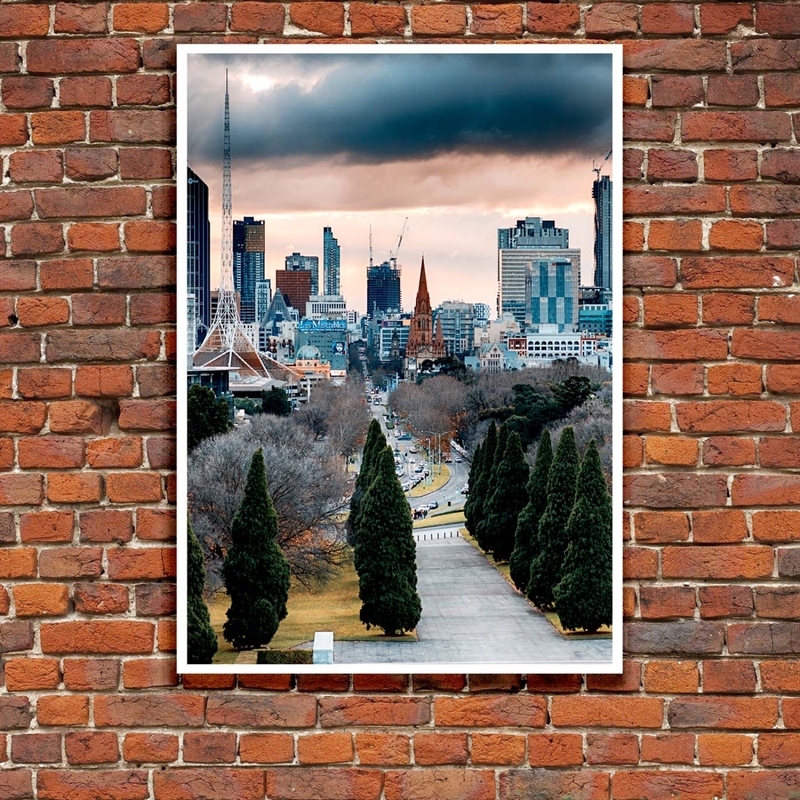 Flinders Street Station Poster – Melbourne, Australia“Meet me under the clocks”; Melbourne’s best me..
Manchester Unity Building Poster - Melbourne, AustraliaAnother wonderful Melbourne Poster of the Ele..